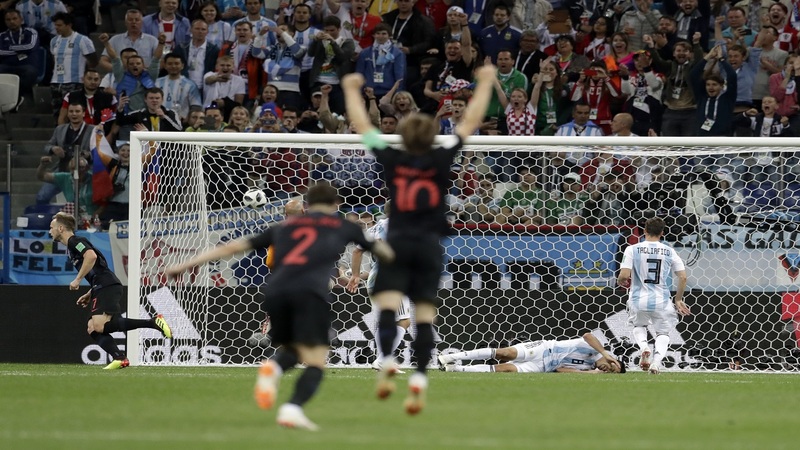 Croatia's Ivan Rakitic, left, scores his side's third goal during the group D match against Argentina at the 2018 football World Cup in Nizhny Novgorod Stadium in Nizhny Novgorod, Russia, Thursday, June 21, 2018. Croatia won 3-0. Russia and Uruguay have clinched berths in the round of 16, and Egypt and Saudi Arabia have been eliminated. 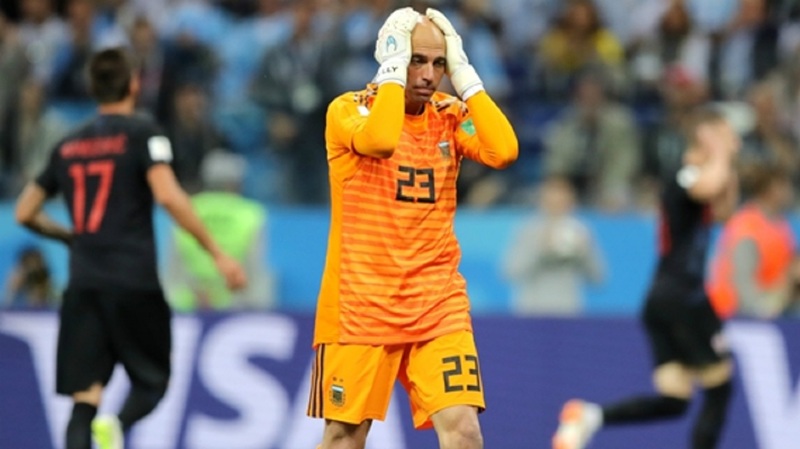 Morocco have been eliminated, leaving Portugal and Spain (four points each) and Iran (three) to compete for two spots. Spain play Morocco on Monday, when Portugal meet Iran. France clinched advancement with a 1-0 win over Peru on Thursday and lead with six points. Denmark are second with four after a 1-1 draw against Australia, which have one point. Peru have been eliminated. Denmark play France on Tuesday, when Australia take on Peru. 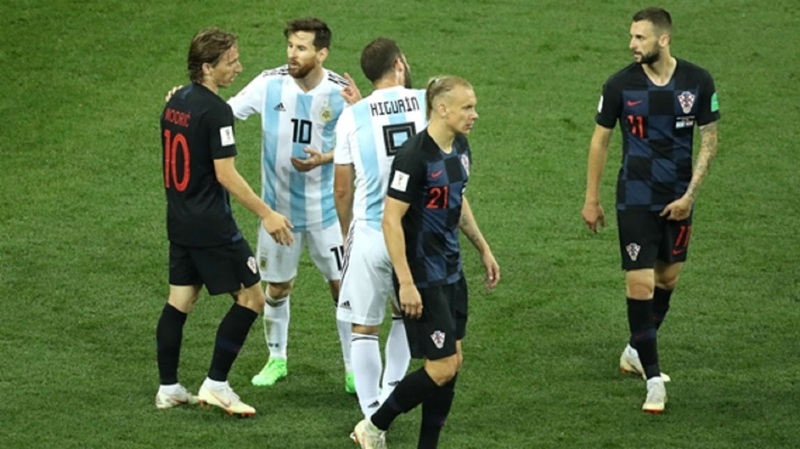 Croatia clinched a trip to the second round with a 3-0 shocker over Argentina on Thursday and top the group with six points. Argentina have one point after two matches and are in big trouble, especially if Iceland (one point) beat Nigeria (no points) on Friday. Argentina play Nigeria on Tuesday, when Croatia play Iceland. If Iceland defeat Nigeria, and an Iceland-Croatia draw on the group's final day would advance Iceland and knock out Argentina.